The Metro Channel is the same spot where Ms Banerjee had held a 26-day fast against the acquisition of farm land at Singur in 2006. 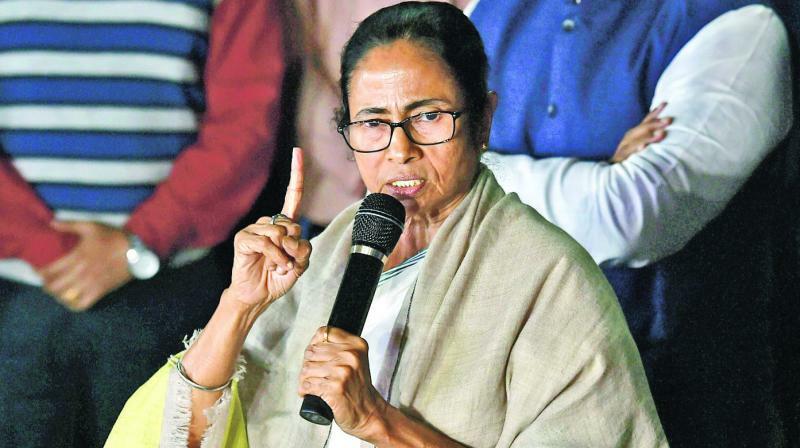 Kolkata: The BJP's West Bengal unit has sought permission from the Kolkata Police to conduct a dharna (sit-in) later this month at the same spot in the city where West Bengal Chief Minister Mamata Banerjee had organised a sit-in demonstration last week. The party has already sent a letter to the city police seeking permission for the dharna at the Metro Channel in the heart of the city between February 21 and 23, BJP state general secretary Sayantan Basu said. The "Save Democracy" dharna will raise demand of"restoring democracy in the state", he said. Mr Basu said, "Whenever in the past we had asked for permission to organise a sit-in demonstration at the Metro Channel, the police denied us permission citing traffic rules. But if the Trinamool Congress was allowed to organise a dharna there, why can't we do it?" Ms Banerjee was on dharna from February 3 to 5 at the Metro channel in Esplanade area to "save the Constitution" after the CBI's failed bid to question Kolkata Police Commissioner Rajeev Kumar in connection with chit fund cases. The Metro Channel is the same spot where Ms Banerjee had held a 26-day fast against the acquisition of farm land for the Tata Motors small car unit at Singur in 2006.